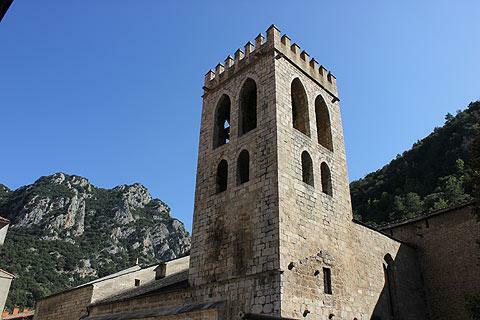 Villefranche-de-Conflent is situated in a deep valley at the confluence of two rivers, the Cady and the Tet, in the foothills of the eastern Pyrenees and about 50 kilometres west of Perpignan in Languedoc-Roussillon. 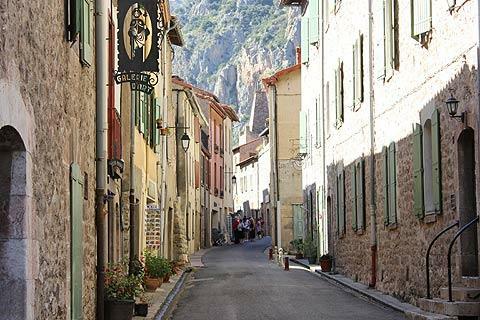 The village is listed as one of the 'most beautiful villages of France and is one of the 14 Vauban sites included in the UNESCO World Heritage listing of his works. 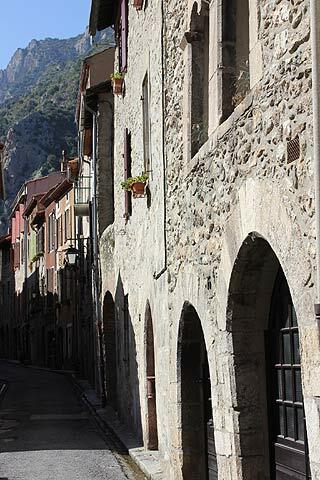 Villefranche-de-Conflent was established in the late 11th century by the Count of Cerdagne as a defence against the Count of Roussillon at a time when the site was on the border between France and Spain, and the medieval village fortifications still surround the village. The historic centre consists of streets of attractive pink-coloured stone houses built around the 13th century. It is both the fortified walls and the location that have helped the town preserve its authenticity and attractiveness since there is little space to expand inside such a confined space, and outside the walls the hills are too steep to build on! The medieval fortifications were strengthened in the 17th century by Vauban, the military engineer. As well as being a beautiful village it is really fascinating with its massive thick wall surrounding the entire village and just a few doorways through the ramparts. 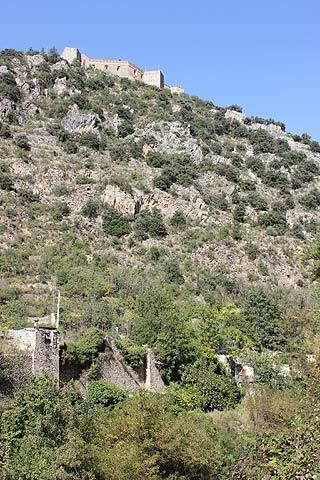 The ramparts were built around Villefranche-de-Conflent between the 11th and 13th century with eight towers built as part of these fortifications. Some of the towers such as the Tour de la Viguerie still exist. In the 17th century they underwent significant alterations by Vauban, France's famous military engineer. He adapted the fortifications to make them suitable against the siege warfare which was common at the time. During the 18th and 19th century the neo-classical monumental gateways were added at either end of the town, the Porte de France and the Porte de'Espagne. To see the ramparts up close you can walk on them. 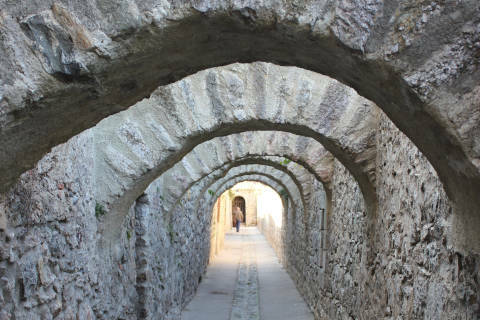 There are two paths, an upper path built by Vauban and a tunnel vault built in the Middle Ages. 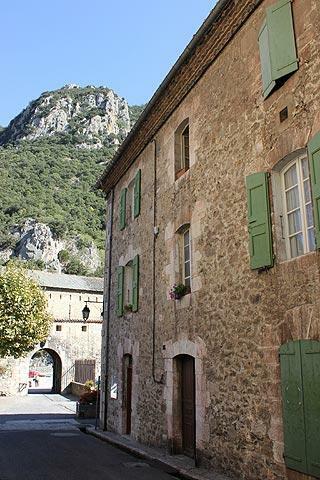 The pink marble of Villefranche-de-Conflent is famous throughout this area and gives the village a lovely pink glow. As the village sits in a valley bottom it is squeezed along quite a narrow line and inside the walls there are only 2 main streets and to gain space the houses are taller than is common at the time of their building. On the bottom floor of the buildings were the shops and stables and the doorways are often round or arched. The first floor was for professional activities and the second floor was where the village-folk lived. Some of the houses have a central patio allowing light to enter the rooms. Within the town there are several particular buildings of interest, such as the roman style Church of Saint-Jacques with its decorative entrance made of pink marble. The church has some excellent roman capitals and inside there are some interesting pieces of religious art such as Renaissance and Baroque altarpieces. Fort Liberia built by Vauban that stands high above the village is reached by a steep staircase up the hill, known as the 'escalier des mille marches' (staircase of a 1000 steps). 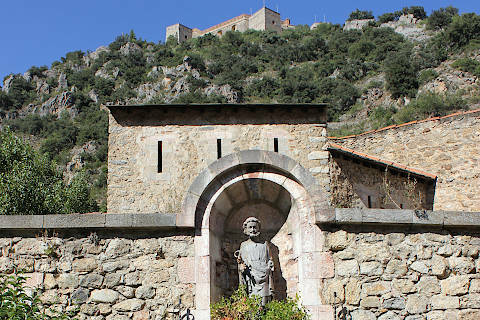 The Vauban fortifications across France, including the Fort Liberia at Villefranche-de-Conflent, are together listed as a UNESCO World Heritage Site. To get to the Fort cross the Pont St Pierre, a lovely stone bridge on the north side of the village, and then start climbing the steps!! Another highlight of a visit to Villefranche de Conflent is the renowned 'Yellow Train'. This little train, with some open carriages (especially popular with tourists), climbs through the hills, and eventually after 63 kilometres reaches Bolquere (the highest railway station in France). Passing through numerous tunnels, and crossing a couple of bridges, you will see great scenery as you travel along through the hills. Recommended. 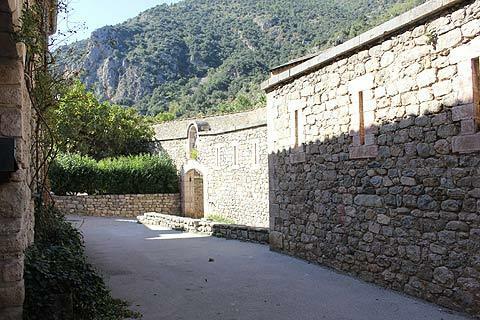 There are also three cave systems in the steep hills next to the village, the Grotte des Canalettes, the Grotte des Grandes Canalettes (the most visited), and the Cova Bastera, which is 'furnished' in the style of a prehistoric cave dwelling. Note that tickets are about 9 euros each for these caves, but there is a discount if you are visiting more than one - so if possible you need to decide in advance how many caves you plan to visit! 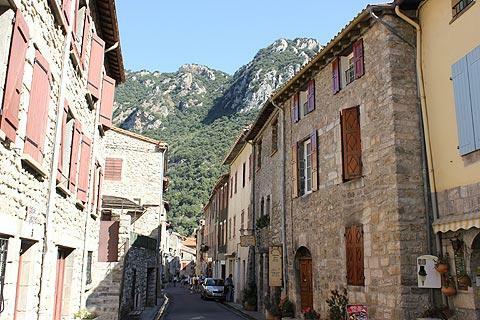 Two other villages to visit close to Villefranche-de-Conflent are Mosset and the hilltop village of Eus, both also classified among the most beautiful villages of France.